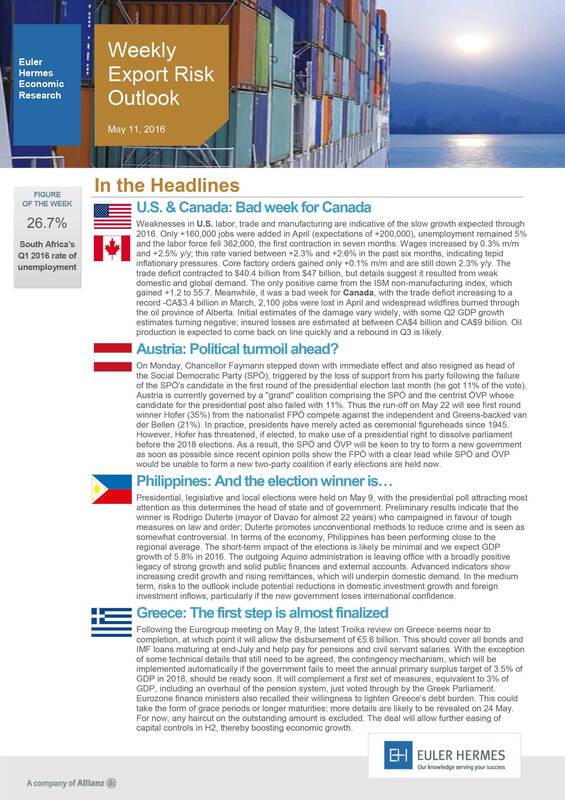 In this document you will find some headlines on U.S., Canada, Austria, Philippines and Greece. The countries in focus are Latin America, Ukraine, Saudia Arabia and China. Weekly Export Risk Outlook – 20 de abril de 2016 Hungary : On the starting block for sustainable growth ?